There is no shortage of Italian restaurants in Liverpool, that is for sure. There is no shortage of Indian, Chinese or sushi places either. As a vibrant area that attracts more tourists than any English city outside of London (fun fact) you have no end of choice when you head out in search of places to eat in Liverpool. So, when you’re looking for the best Italian restaurants in Liverpool, in an attempt to narrow down the search, what separates one from the other? How can you choose between them when so many restaurants in Liverpool city centre have fantastic reviews on Trip Advisor and the like? Well, let us tell you – look at the pasta. You can’t beat a great spaghetti bolognaise and there will always be a place on the menu of every great Italian restaurant in Liverpool for a tasty lasagne but there is a lot more to pasta than those classic choices. We currently have a selection of eighteen different dishes on our pasta menu and they showcase wonderful local ingredients ranging from mushrooms and smoked salmon to king prawns paired with chorizo. When it comes to the very best Italian restaurants in Liverpool, and after welcoming returning diners for several decades we count ourselves amongst that number, the pasta menu should surprise and offer something unique, as well as being able to provide the tastiest versions of traditional favourites. Looking for places to eat in Liverpool? When the choice is this great, we say ‘go with your gut’. 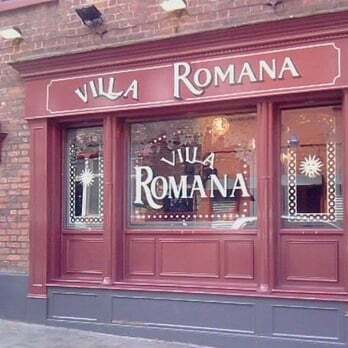 There are great restaurants in Liverpool city centre showcasing every type of cuisine and we know that, when your tummy is asking for a hearty Italian meal, Villa Romana will never disappoint. To book you table at one of the best Italian restaurants in Liverpool, visit our contact page.